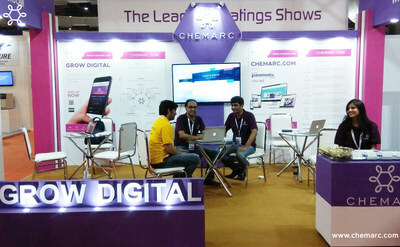 Launched in Mumbai on August 2017, Chemarc.com has become the most-visited web platform for chemicals in the world, recording the highest Alexa rank amongst all chemical platforms and companies. Company sources disclosed that Chemarc.com attracts over 35,000 visits every day. The largest number of visitors are from India followed by the U.S Germany, France and Canada. "We are setting up a digital platform for the chemical industry, the first step of which was to create a relevant community on the platform. This community becomes the magnet to attract businesses to interact and transact on the platform. We went the content route to create community and are pleased with the way things have shaped up," said Punit Krishna, CEO of Chemarc.com. Speaking to industry leaders at a popular industry forum, 'digital platforms are revolutionary', he said, "Probably the most significant opportunity of the digital era, digital platforms provide global visibilty, convenient 24x7 connectivity, easy and personalized knowledge sharing, instant communication, workflow automation, social feedback, data insights, and so much more, like never before. These are key elements of value creation, making Web 2.0 digital platforms a critical ingredient of Industry 4.0. The action on consumer facing businesses has already happened, it is going to happen for B2B as well. Chemicals being one of the largest industries in the world, will embrace the platform model and Chemarc.com will be at the forefront of bringing about this change." When asked about the biggest challenge the industry faces in adopting digital, he mentioned 'change management'. "Business has been done from time immemorial in a particular way, sometimes referred to as the pipeline model. Companies interact with each other, take buying-selling decisions and exchange goods and cash one-to-one through a (sort of) pipe. Sellers and buyers are at the opposite ends, with one or the other managing the pipe. Compared to a digital platform now made possible by the Internet and digital technologies, this is expensive, inefficient and ineffective but people are used to doing business this way and will need to adapt and change to the new paradigm. This change management will have to be driven by the leadership and must percolate down the organization. Mindful of the difficulties in change management, Chemarc.com will take the industry on a digital journey with companies adopting features on the digital platform at the pace they can adapt," he added. Chemarc.com have recently launched BizHub, a feature-rich microsite for businesses to discover, connect and engage customers and vendors on the platform. BizHub is the first step for B2B online commerce, providing a great user experience and deep insights on customer behavior through analytics. Next in the pipeline is a full suite commerce solution on the platform with credit and logistics built in to deliver the full digital advantage. Some top companies have already signed up and Chemarc.com are working closely with them. Chemarc.com is a comprehensive digital platform for the chemical industry. Co-founded by experienced professionals with deep domain experience in chemicals as well as technology, it aims to deliver the full digital advantage to the industry by bringing the industry to the platform and providing best of class digital solutions for business to be done online. For more information, visit https://www.chemarc.com .